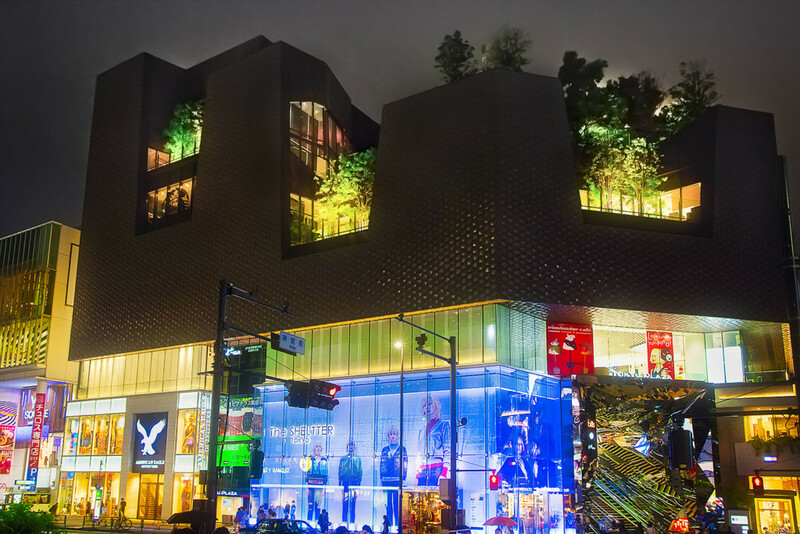 The modern, green architecture, trees and plants integrated into roof-gardens and decks, as seen on a shopping mile in Tokyo. Looks cool if roofs of this kind get illuminated in the night. One of the many photo opportunities you get, when walking through Tokyo.